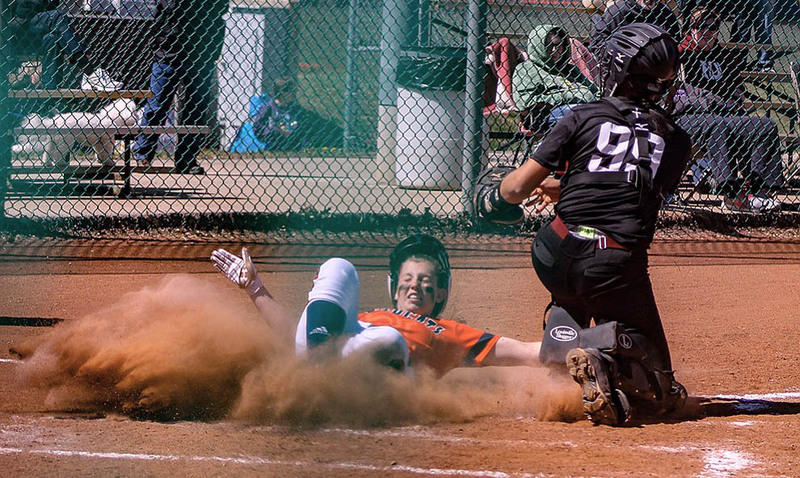 Evangel swept the Baker softball team on Saturday, April 2. The two wins for Evangel move the Crusaders’ Heart of America Athletic Conference record to 7-1, tied for first place with Grand View. 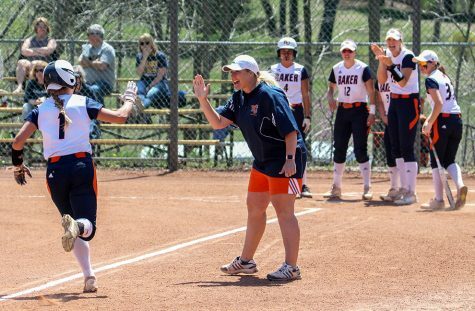 Baker falls to 4-4 in conference play, tied for fourth place with MidAmerica Nazarene. 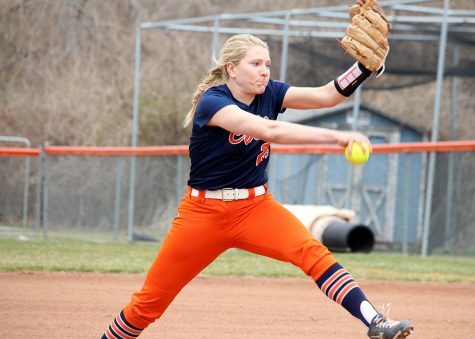 In the first game Saturday, BU freshman Olivia Brees was strong on the mound. 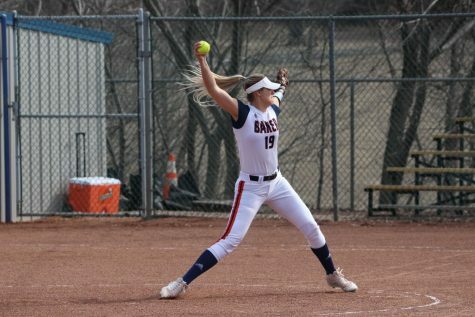 She finished the day with 10 strikeouts, but sloppy defense in the top of the second inning allowed Evangel to score all five of their runs in the 5-2 victory. 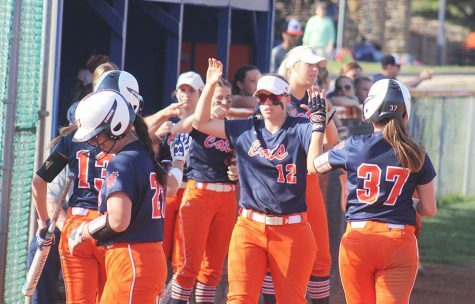 In game one, the Wildcats could only strung together five hits total. 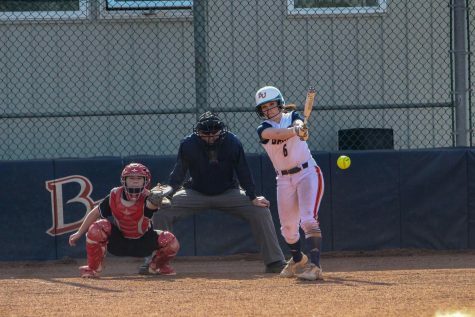 Miller was the lone scorer on Saturday as she scored both of the runs. 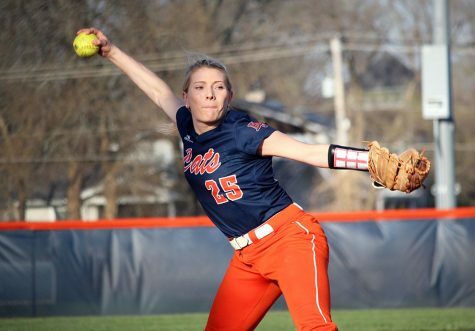 In game two, Kyra Parker of Evangel pitched a seven inning, three-hit complete game shutout. Evangel walked away from game two with a 5-0 victory. 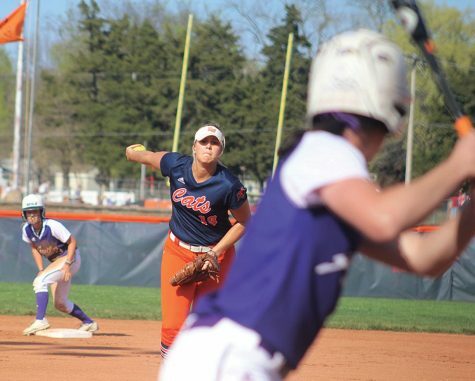 The only hits of the game came from Stover, sophomore Stephanie Cardona and senior Kelsey Vollenweider. 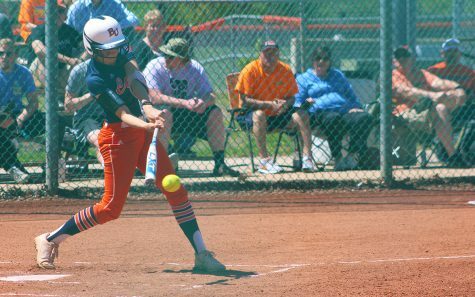 Baker will next host Grand View on Tuesday, Apr. 5 at 2 p.m. at Cavaness Field.